870 / Reading during commercials. I usually watch all my shows in my office where the DVR is at so I can fast forward commercials. It was so cold & the windows were open in there so I just watched TV in my bedroom & ended up watching TV in real time. I took my book to bed with me & read it during commercials. I loved doing that. Zoomed through my book & passed the commercial time quickly. 872 / Pineapple Fried Rice. I posted up this recipe last week & tried it out ... OH MY GOSH. Its all I keep thinking about. It was amazing. The leftovers were fantastic of it too.... I think I know what I gotta make for supper tonight. 874 / A day off work! Kids are getting two weeks off for Fall Break right now. I'm just as happy having one day off. 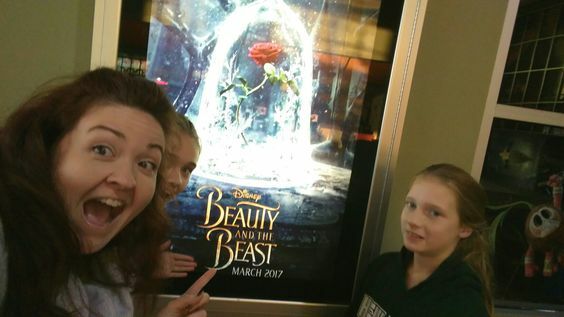 875 / Date night with Twins. I never will tire of spending time with them. 876 / Beautiful Rainbow. 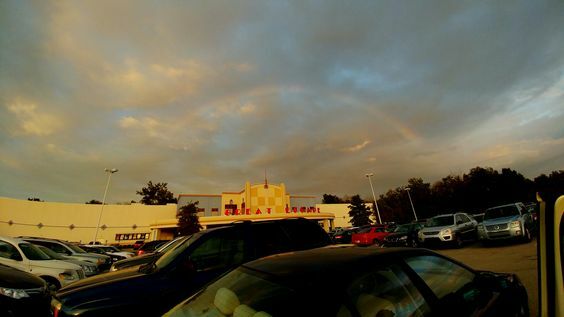 We came out of the movies & I looked up & was like, "Oh, there's a rainbow"... it was funny because there were people all in the parking lot & no one had noticed. As soon as I said it, everyone pulled out their phones to take pictures. It was a full size one too... & no rain was anywhere to be had. No pavement was wet - nothing. It was so strange... but so gorgeous. One could say it was PECULIAR!!! ... get it? We just came out of seeing Miss Peregrine & the Peculiar Children. 877 / Celebrating my momma's birthday. Her last one in the 6 digits... next year is the big 7-0 for her. My parents dont seem to be in their 70's to me. Funny how that works. I can remember my mom turning 30 & thinking that was old. 40? Forget it - she needed to be checked in a nursing home soon. Now they were in their 70's - doesnt seem that old to me. It killed me they didnt have a blue cake. 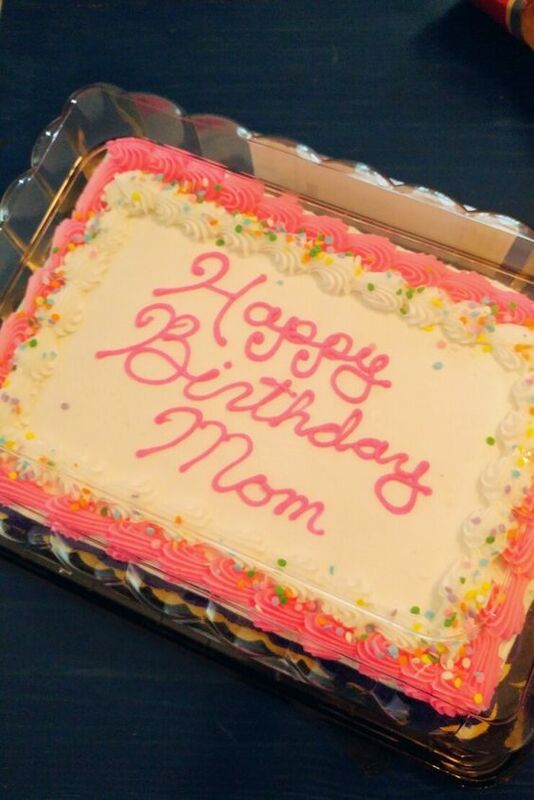 This is like blasphemy in our household not getting my mom a blue cake. 879 / Bible Journaling. Time & life has been so busy, I have missed doing this for the past few weeks. 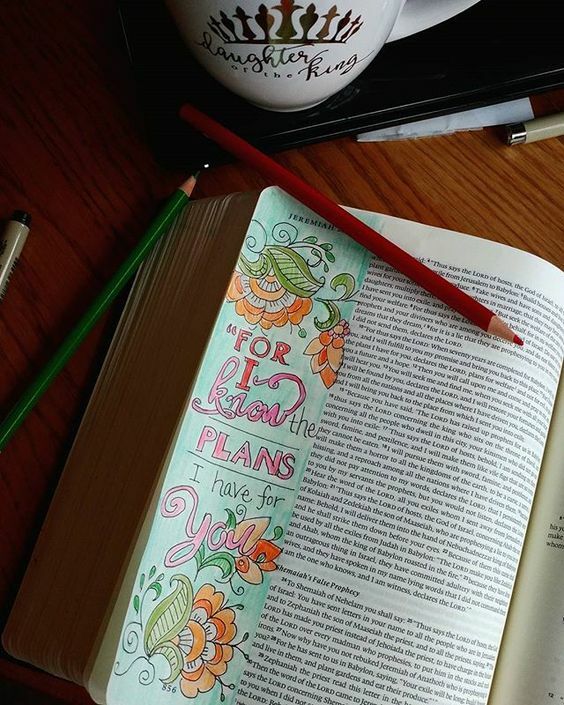 Ricky had to work on Saturday & I didnt have any early plans so I loved spending some time back in my Bible. 881 / Technology at MSM. We now get to see our questions for small group on our phones... even take attendance & keep all our kids info right there in the palm of our hands. Technology is an amazing thing. 882 / Found 2 new dresses at Old Navy. I actually went in to take 2 dresses back & then found 2 more. LOVE THEM! Ricky even gave the thumbs up. Funny story - after I bought them, Old Navy had a sale on Tuesday with an extra 30% off. I ended up ordering the same dresses online - got ANOTHER dress all for less than what I just paid. So taking those original 2 dresses back & getting the money back. WIN WIN!!! SCORE! 883 / Perfect day for a gorgeous Senior session. It was raining while I was driving to my photo session on Sunday but the rain stopped & it was a perfect cloud covered day, making for beautiful pictures of a beautiful young lady. 885 / RAMP OPEN!!!!!! They have had a ramp closed on my drive to work for the past 3 months making traffic HORRID!! & it finally was opened back up. Thank you LORD!!! 887 / Isaac is 9!! Our first grand son's birthday was Monday. I can't believe he's 9 years old. I can't believe we've been grandparents for 9 years. WHAT??? So tell me something good about your week!!! Rainbows are my favorite!! 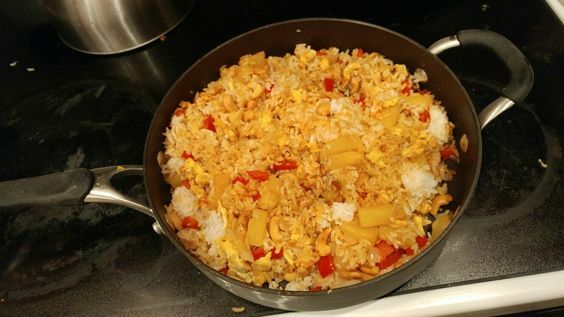 That fried rice also looks delicious - I'm glad it came out well. I think we have almost the same giant non-stick pan. We use it for everything! When I read through commercials I usually get so invested in my book that I mute the TV show when it comes back on and just keep reading :) Haha! Two weeks off for fall break??! That's insane! Haha! I think I'd like to get a journal Bible/large margin Bible for my birthday this year so I can start journaling :) Your pictures are always so inspirational! Do you like curry? I had made two really delicious lentil currys over rice lately that you might enjoy!!! Lots of great things to be thankful for this week!! I hear you on opening the ramp, hate it when things get closed and more hectic! That pineapple fried rice sounds delicious!! Old Navy may just adjust the original amount and give you some money back if you want if they're like Gap. Gap gives you like 10 days to make adjustments if things go on sale or if you get a coupon in the mail after the purchase. At least they used to! I should check out dresses at Old Navy, I haven't purchased any for a couple months now and it's still dress weather here. I need to make pineapple fried rice! Your Bible journaling is so beautiful :) Very inspiring. Happy birthday to your mom and grandson! I fell deeply in love with Old Navy when I visited the US and I'm really sad we don't have it here. Gap just isn't the same. I'm going to be off work in a few weeks and I. Can. Not. Wait!! Your artwork in your journals makes me incredibly jealous. Your talent is astounding. I'm thankful that we could stock up and be prepared for Hurricane Matthew to arrive. Prayers appreciated! Ooh that fried rice sounds amazing! I am so glad you liked that fried rice! I still need to try it out myself. Maybe next week! It is hard because Chris is on a diet that doesn't involve rice right now but maybe I can make it for lunches since leftovers are probably still tasty. That is a cute senior picture! The fried rice sounds so yummy, I must try it soon! I gotta know what job lets you watch shows! I'm all for it! Pineapple fried rice sounds AMAZING! I've got to try it!